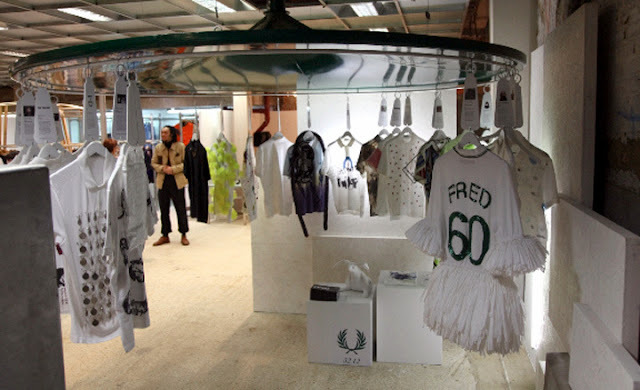 Fred Perry is celebrating it's 60th anniversary by presenting a special collection of one-off a kind t-shirts at London multi-brand store Dover Street Market. 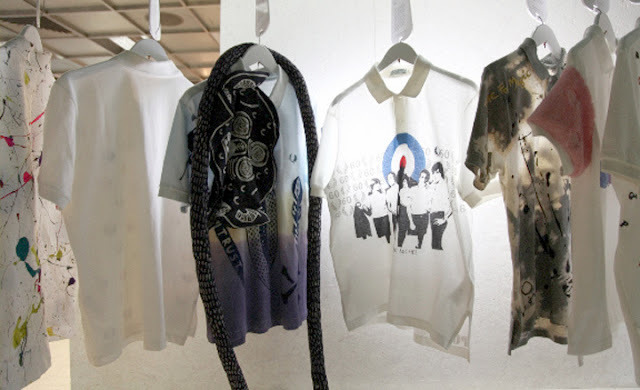 The iconic British sportswear label has asked 60 creatives and athletes to personalize a 1952 reproduction shirt. The list includes Pierre Debusschere (above) artist Jamie Reid, fashion retailer Colette, photography duo Inez and Vinoodh, and designer Raf Simmons. 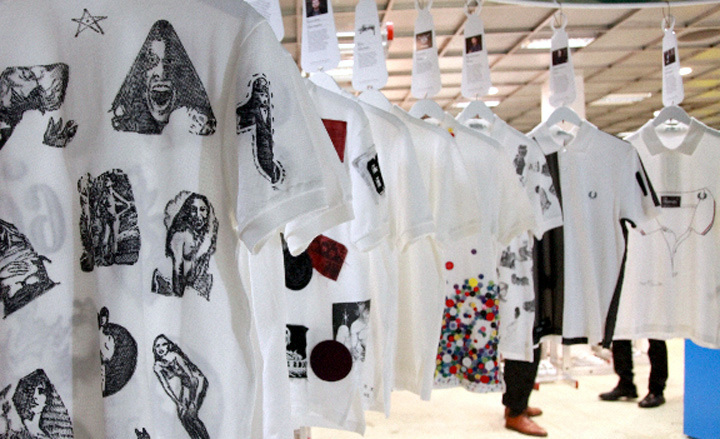 The shirts will be auctioned later this year, with all proceeds going to the Amy Winehouse Foundation.